Our Mission is to provide outstanding microscopic endodontic care in a caring and professional atmosphere utilizing state of the art equipment and materials supported by the most current research. After receiving her B.S. from the University of California - Riverside, Dr. Benison attended the Southern Illinois University School of Dental Medicine, earning a Doctor of Dental Medicine degree in 2001. 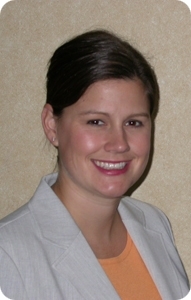 She pursued graduate training in endodontics and was awarded a certificate and a Master of Science in Dentistry (Research) in endodontics from the Graduate School at Saint Louis University. Dr. Benison's masters research was in the field of endodontic pain control. Since graduating, Dr. Benison has maintained a full-time specialty practice and teaches part-time in the Graduate Endodontic program at Saint Louis University. 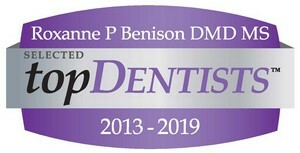 A licensed specialist in the State of Illinois, Dr. Benison is also a specialist member of the American Association of Endodontists and Illinois Endodontic Asociation as well as a member of the American Dental Association, the Illinois State Dental Society and the Madison District Dental Society. In addition to being a member of several endodontic study clubs, Dr. Benison annually attends multiple continuing education courses. Dr. Benison has been named as a Top Dentist by St. Louis Magazine 2019 and for the past 6 years!